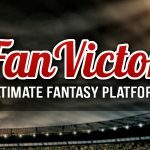 FanVictor.com was established in late 2014 with a mission to be the world’s premier provider of wholesale private label fantasy gaming and fantasy services. In line with this mission, Fan Victor – today – is the fastest growing provider of these private label services in the world. Since early 2015, FanVictor.com has built its reputation on being the leading wholesale provider of fantasy sports and web services and we live by the credo “our partners’ success is our success”. To this end we have built our organization to be somewhat unique in the industry. Fan Victor’s architecture and gaming platform is built from the ground-up to be casino grade, ensuring the service to end customers that our partners (and their customers) expect. Once logged in, this is the page on which the user will land. On this landing page, a prominent portion will be allotted to the “Game Lobby” and “Featured Game” section. The Game Lobby will be a highly advanced yet elegantly designed and easy to use function which will allow the users to pick and choose the game they want to play. Game List Half: This half of the lobby will automatically show the games available as per the users preferences as set in the first half of the lobby. This list will keep changing in real time in order to show the exact game type that the user is looking for. My Live Games: This section will have a list of all the games the user is involved in. This section updates automatically so the user can watch this screen during a live event and watch themselves climb the leader-board in Real Time. My Upcoming Games: This section will have a list of all the games the user will be involved in. format with detailed game records (Winners, Points, etc...). This is the ONLY section which will list the private game history. My Account: This is the financial center of the user account. This page will store all the details related to the user’s financial history. Using a highly user friendly format of a Bank Statement, this page will list out in details all the movements within a user’s financial history on the application. This page will show the Total Cash available in the user’s account as a SNAP SHOT. This page will also provide the users with an option to Deposit or Withdraw amount for their account. The application will have standard “Game Fees” structure, although the admin will be able to create games with “FREE ENTRY” and assign awards (Cash and Non-Cash) against them. The admin will be able to assign the “Entry Fee” at the time of creating the game. Admin will be able to setup the “Prize” structure for the games. An industry standard Leadership board will list all the winners by the rank. The leadership board will also allow users to view other contestants selections once a game is Live. The application will offer highly competitive “Daily”, “Weekly”, “Monthly” or “Yearly” games to its users. Each game will be created with a combination of rules as desired by the admin. * Duration of the game (Daily and/or Weekly). Game Type (H2H, Multiuser League) – All with Salary Cap. Prize Structure (From the built in Prize Matrix). * To offer a complete solution to the users, the application will also allow users to create their own games with a few standard set of rules. Fan Victor Disallow Front End Contests Feature can be enabled. Users will be able to create these games as set them as “Public” or “Private”. Public games created by the users will show up on the game lobby and will be open for all to join. Private games will NOT show up in the lobby, the only way to join them would be via email invite. Users will be able to invite their friends to join the games by sending out invites and also by sharing the game info on Social Media platforms. Admin can make the system to create contests automatically when needed. The application will have a fully encrypted and secure payment system. Users will be able to deposit funds to their respective accounts by using “Credit Cards” and/or PayPal, PayPal Pro, Priority Payments, Moneywave, Flutterwave, FT Tech, BillMap, OMPAY or DFSCoins. affiliate funds if they are able to get their friends to join the application. In order for user to withdraw funds, they will be able to do so either via PayPal (or any other available payment gateway) and/or send out “Live Check” request to the admin. Admin will need to approve all payouts in order to ensure fair trade. The application will have a highly detailed dedicated Back-End Admin panel available, which they would be able to access via their unique credentials. Admins will have full control over the functioning of the application. Admins will be able to create games for the users based on their preference. Admins will be able to modify and/or update the “Player Roster” from which the users will create their lineups. Admin will be able to modify and/or change a player’s salary information on weekly basis, although, the application will come with a unique in-built algorithm which will do this on its own. Admin will have full control over the games available for selection. Admin will have access to Payout Notifications. For all games (Admin created and User Created), in case the game is NOT FULL, the application will refund the funds back to the users if admin wants to. The application will have an “Contest Clone Feature”, which will allow the application to create games automatically every week based on the admin’s preference . Clone Contest feature means, that contest will be re-created automatically if the first contest is full. * Total number of users on the application. Total Money Paid by each user. * Total revenue earned by the application. Admin will be able manage user credits (Add/Remove credits). Admin will be able manage withdrawals (Approve/Deny). In order to offer a complete solution, the application will be capable of supporting all the major Sports and Leagues from across the globe. American Sports: NFL, NBA, NHL, MLB and MLS. The order in which the leagues/sports need to be integrated will depend on the Start date of the said league and the total time needed to integrate it. All other leagues/sports can be added based on a pre-decided schedule and with a separate cost analysis. The application will offer standard “Daily” or “Season” formats to its users. Under these formats, users will need to create and submit a fixed lineup (will change depending on the Sport and/or League) consisting of actual players. Each user will start with a Fixed amount (Salary Cap or limited feature), in which they need to submit their lineups. The lineup structure and scoring logic can be customized by the client. Once the user has paid the entry fee and joined a game, they will need to submit a lineup in order to compete. Users will be able to create their lineups from the list of available players (Player Roster). Each Sport and/or League will have its own unique line up structure. These lineup structures is programmed already, but can change through back-end customization. While creating the lineup, user will have access to all the relevant player information, which will help them in creating the best and most competitive lineup. lineup will be placed on one side of the page, whereas the user selection roster on the other. Users will be able to pick players and add them on their lineup. NOTE: for some sports we can offer improved lineup page, which will include soccer field graphics or Formula 1 race track. The application will come with a unique “Player Card” feature. Admin controlled detailed Promo Code module. Admin will be able to generate unique promo codes as per their preference. Automated tracking of commission payout for each promo code. All Custom Data Feed Integration will be done at a pre-determined hourly rate in addition to the overall cost of the application. Data Feed Providers can be utilized via Fan Victor or the client can choose one based on their preference. The scoring logic will depend on the type of data available and is subjected to change. Payment Integration can be done via any available Payment Gateway. All Payment Gateway integrations will be done at a pre-determined hourly rate in addition to the overall cost of the application (with the exception of PayPal and already supported payment gateways). This is the ability for a league manager to specify a time when all members of that league can log in and draft their team. Waiver wire: The waiver wire is the pool of all players that are not on fantasy teams within a league currently. Trades: Teams may trade players with each other. So within the website, I can offer you a trade of my player for perhaps two of your players. Autodraft: Not everyone can make it to every draft, so if 1 or 2 league members can't make their leagues in draft time, it will autodraft their team for them.